The liberlization process of foreign exchange regulation that has started since 1987, led in December 1992 to the dinar current convertibility. Since then, resident corporates can freely transfer the amounts of their imports of goods and services. They were aligned, on this level, to fully-exporting corporates which have gained, since 1972, from foreign exchange total freedom for operations pertaining to their production activities. to banks and corporates to borrow in foreign currencies for their activities needs within the limits of TD10 million and TD3 million per year respectively. Under the term of new regulations, lending institutions having obtained a grading by a rating agency or listed on the stock exchange market can borrow an unlimited amount of funds from non residents as long as the loan is for a piriod of more than 12 months, while other institutions are held to a 10 million dinar limit. to foreign investors to take portfolio participations accounting at least for 50% in listed or unlisted Tunisian corporates. Reforms and various measures undertaken in this framework will strengthen in the prospect of setting up the full convertibility of the dinar. 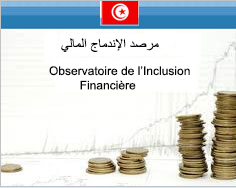 Foreign investment in projects in Tunisia is free at the level of creation and expansion. If is submitted to prior authorization for projects achieved in some activity sector . Decree n° 77-608 of 27 July 1977. Circular of the BCT to IA n°2004-03 of 19 July 2004 as modified by circulars of the BCT to IA n°2005-19 of 8 November 2005 and n°2007-10 of 17 April 2007. Circular of the BCT to IA n°2006-08 of 1st August 2006 as modified by circular of the BCT to IA n°2007-11 of 17 April 2007. Non-residents having made investments, pursuant to the regulation into force, are free to transfer net real proceeds and gains on transfer or liquidation of their invested assets through foreign currency import. From 100,000 dinars to 1,000,000 dinars for financing subsidiaries,affiliates or capital acquisition in companies set up abroad. The mentionned companies financing the above stated investment through the debit of their professional accounts in foreign currency may carry out transfers in this respect within the limit of 3,000,000 dinars per year, regardless of the type of investment and of the foreign currency turnover of the considered company. Funds available in the professional accounts in foreign currency used in this respect must be derived from the company's exports of goods and services. Funds needed for financing investment must be fully available in the account when the transfer is carried out. And from 100,000 dinars to 500,000 dinars for branches, subsidiaries and capital acquisition in companies set up abroad. Exchange note of the Minister of finance n° 4 of 18 January 2005, published in the Official Journal of the Tunisian Republic n° 5 of 18 January 2005 as modified by exchange note of the Minister of finance of 2 march 2007 published in the official journal of the Tunisian Republic n°18 of 2 march 2007 and by exchange note of the Minister of finance published in the official journal of the Tunisian Republic n°20 of 10 march 2009. Circular of the BCT to IA n° 2005-05 of 16 February 2005 as modified by the circular to IA n°2009-09of 4 April 2009. Resident private individuals and Tunisian legal entities or foreign legal entities established in Tunisia are authorised to hold shares in the capital of non resident companies set up in Tunisia and carryout related transfers. Terms for carrying out these transfers by the authorised intermediaries are fixed in circular of the BCT. Exchange note of the Minister of finance of 2 March 2007 published in JORT n°18 of 2 March 2007and Circular of the BCT to IA n°2007-23 of 10 October 2007. Resident companies may, for their activities' needs, borrow freely, from non-residents in foreign currency up to 10 millions dinars per calandar year for lending institutions and 3 million dinars for the other companies. When granted for a period of more than 12 months, these loans are borrowed freely and without a limit for the amount for the lending institutions and within a limit of 10 millions dinars per year for the other companies. However, the lending institutions must be subdued to a prior voluntary assesment of a rating agency ,or listed on the stock exchange market. Transfers related to reimbursement in principal and interest payment of these borrowing are free. Circular of the BCT to IA n° 93-16 of 7 October 1993, as modified by circular of BCT to IA n° 2005-03 of 4 January 2005 and circular of the BCT to IA n°2007-01 of 9 January 2007. Resident companies having incurred contracts to provide services or to accomplish works on behalf of non-residents abroad, are authorized, to freely open at banks of countries where these contracts are carried out, accounts in currencies of these countries to save part of the income collected in this respect and meant to cover local expenditure. This procedure concerns exclusively contracts incurred in foreign countries where the law into effect calls for the use of part of the income to cover local expenditure in national currency. At the end of the contract, the resident company must settle any account that was opened abroad in the local currency and remit the credit amount of this account as per the law into effect. Circular of the BCT to IA n° 2008-08 of 28 April 2008. All import are free except these concerning securities, public order, hygiene, morality, fauna and flora protection and cultural heritage. import of some products such as some ranges cars, remains temporarily submitted to prior authorization. Imports are submitted to the obligation of payment by bannk's order through an authorised intermediary. Products under the regime of free foreign trade are imported through commercial invoice as per provisions of decree n°2006-2619 and 2006-2620 of 02/10/2006. For the domiciliation of this commercial invoice, the importer has to indicate clearly the NSH numbers ( Nomenclature of Harmonized Systems) for the products to be imported. Products excluded from the regime of free foreign trade are imported as per an authorization delievred by the Minister in Charge of Trade. Companies totally exporting goods and services as well as companies established in economic Free zone may import freely, without foreign trade formailities, all necessary producst to their production subgect to their customs declaration. Import settlement is freely executed by the authorised intermediary after the effective entry of goods justified by customs charging. The settlement of goods may be executed before their reception subject to justifying their direct and exclusive shipment to Tunisia. Recap list of BCT notes to authorised intermediairies relative to import of products subdued to specifications. All exports are free except those provided for in a list fixed by decree. Exports of products benefiting from the regime of free foreign trade are made on presentation of a final export invoice or a commercial invoice to customs. Exporters must pay the charged invoice by customs through a authorised intermediary at the latest, eight days after the shipment of goods. Products excluded from the regime of free foreign trade are exported on presentation of an authorization delivered by the Minister in charge of Trade and paid through a authorized intermediary. Cash sales (at the latest 30 days from the date of shipment) may be paid by any means of settlement. Sales on credit providing for settlement periods up to 360 days starting from the date of shipment are executed freely when accompanied with a payment guarantee, an irrevocable letter of credit or stand by letter of credit, an endorsed draft or an insurance policy of credit at export. Export receipts have to be repatriated in the 10 days that follow the due date. Totally exporting non-resident companies, international trade non-resident companies as well as non-resident companies established in economic free zones are neither bound to repatriate nor to assign their export receipts. Resident exporters may keep in their foreign currency professional accounts 100% of the proceeds of their exports. Law n°94-41 of 7 March 1994. Decree n°94-1743 of 29 August 1994. Circular of BCT to IA n°94-14 of 14 September 1994 as modified by circular of BCT to IA n° 2006-16 of 13 november 2006 and n°2006-24 of 18 December 2006. Circular of BCT to IA n°93-14 of 15 September 1993 as modified by circulars of BCT to IA n° 99-05 of 19 April 1999 and n°2003-13 of 12 November 2003 and n°2005-01 of 3 January 2005 and n°2012-08 of 15 june 2012 and circular of BCT to IA n°2013-13 of 21 October 2013. Circular of BCT to IA n°2002-08 of 21 June 2002 as modified by circulars of BCT to IA n°2003-15 of 12 December 2003, n°2006-16 of 13 November 2006 and n°2014-11 of 16 October 2014. Transfers regarding current transactions are free (trade transactions, transactions related to corporate production, transport, insurance, capital income, operations concerning banking and financial expenditures, personal operations, public sector operations, general operations such as subscriptions, advertising, entertainment and show contracts). Circular n° 94-14 of 14 September 1994. N.B. : Transfers with respect to stay fees subdued to ceilings can give rise to complementary transfers a prior authorization of the Central Bank of Tunisia. Beneficiaries : Resident individuals of Tunisian or foreign nationality. It can be delivered at one or several times. Transfers with respect to tourist allowance can be effected in cash , by cheque or by nominative international payment card specially set for this allowance. The international payment card can only be used in Tunisia in order to book hotels abroad. In compliance with decree n°77-608 of 27 July 1977 as modified by decree n°2007-394 of 26 February 2007, imports and exports of Tunisian dinars in bank notesor coins of the Central Bank of Tunisia (BCT) are forbidden except when the Central Bank concludes an agreement with its counterparts or any other specialised authority in a foreign country. It is in this framework that an agreement was concluded between the BCT and the Central Bank of Libya (BCL) on 18 February 2007 with respect to exchange of bank notes in Tunisian dinar and Libyan dinar. Thus , Tunisians travelling to Libya are authorised to transfer their travel allowance in cash either in Tunisian dinar or in Libyan dinar as per conditions and procedures fixed by circular of the BCT to IA n°2007-06 of 15 March 2007. 3,000 dinars for resident individuals of foreign nationality allowed to transfer work remittances and 1,500 dinars per annum for their children whose age is less than 10 years. Carrying forward of unused portion of tourist allowance is no more authorised..
Circular of BCT to IA n° 2007-04 of 9 February 2007 as modified by circular of BCT to IA n° 2009-21of 13 November 2009 and circular of BCT to IA n°2014-16 of 10 December 2014. Amounts that have not been used with respect to the travel allowance when going abroad can be saved in an account entitled "travel allowance in convertible dinar" open in this respect. Circular of BCT to IA n° 2007-15 of 26 April 2007. Resident individuals of Tunisian or foreign nationality studying abroad (students having the baccalaureate or a higher studies degree, handicapped enrolled in specialized institutions, pupils authorized by the ministry of education to pursue their studies abroad). Circular of BCT to IA n° 93-10 of 8 September 1993, as modified by circular of BCT to IA n° 98-11 of 9 October 1998 and circular of BCT to IA n°2004-07 of 1st November 2004 and circular of BCT to IA n°2006-18 of 27 November 2006 and circular of BCT to IA n°2009-22 of 18 November 2009 and circular of BCT to IA n° 2013-11 of 14 August 2013 and circular of BCT to IA n°2015-08 of 21 April 2015. Any resident private individual authorised by the Ministry in charge of professional training to carry out a training abroad. 4,000 TD for each training period with respect to setting up fees. The considered period must be mentioned in the non-objection certificate for carrying out professional training abroad delivered by the Ministry in charge of professional training. Transfer of this allocation can be effected fully at once or several times. 3,000 TD per month with respect to stay fees or the difference between this amount and the amount of scholarship if the beneficiary holds a training scholarship. Enrolement and training fees must correspond to amounts required by the training institution abroad, exclusive of the stay fees, as indicated in the training institution and the concerned induividual. Circular of BCT aux AI n°2007-09 of 12 April 2007 as modified by circular of BCT to AI n°2009-23 of 18 November 2009 and circular of BCT to AI n°2015-07 of 21 April 2015. Foreign wage earners through cooperation or contract and not maried to resident individuals may profit freely from all transfers with respect to work remittances. Circular n°93-21 of 10 December 1993 as modified by circular of BCT to IA n°2007-21 of 14 August 2007 repealing the circular n° 93-12 of 8 September 1993. Resident individuals of Tunisian or foreign nationality travelling abroad for medical care and those who accompanying them. 500 dinars per travel if the patient's health requires several travels per year, freely if he is taken over by an insurance company or a pension fund and otherwise upon an authorization of the Central Bank of Tunisia. Circular of BCT n° 93-18of October 18, 1993 as modified by circular of BCT to authorised intermediaries n°2004-06 of November 1st, 2004 and by circular of BCT to authorised intermediaries n°2006-17 of 20 November 2006. Resident individuals and legal entities going abroad on business in the framework of their professional activities. These allowances include those for exporters' business travels, businesses feasible abroad, importers, other activities and promoters. The allowance for exporters' business travels is fixed at 25 % of export receipts with an annual ceiling of 500,000 dinars. As for allowance for travels with respect to business feasible abroad, its profit is freely set, provided that the contracts require the travel of the beneficiary or his employees and do not include a close providing for allocation of a portion of the cost of the deal to the coverage of the fees incurred in the country where the deal with be carried out. Its amount is set at 15% of the cost of the deal for which the allowance is required. Concerning allowance for importers' business travels, profit is freely set with respect to authorised intermediaries and its amount is fixed at 5,000 dinars for imports carried out during the previous year with amounts varying between 5,000 and 50,000 dinars and at 10% with a ceiling of 50,000 dinars for import which account for more than 50,000 dinars. Business travel allowance for other activities is granted freely with respect to authorised intermediaries to any resident private individual or Tunisian or foreign legal entities for their institution in Tunisia and having not enjoyed any business travel allowance and those with the activity not listed in appendix 8 (new) of circular of the BCT to authorised intermediaries n°2007-03 of 5 February 2007.Its amount is set at 2,000 dinars when the previous year's turnover varies between 10,000 and 30,000 dinars and at 8% of the turnover of the previous year with a ceiling of 30,000 dinars when the mentioned turnover goes beyond 30,000 dinars. The allowance for promoters' business travel is granted freely with respect to authorised intermediaries to Tunisian or foreign legal entities for their institution in Tunisia launcling new projects requering travelling abroad. Its amount is set at 15,000 dinars granted just once during all the period corresponding to implementation of the project. Circular of BCT to IA n°2001-08 of 2 March 2001 as modified by circular of BCT to IA n° 2009-06 of 9 February 2009. Beneficiaries : Circular of the BCT to IA n° 2007-09of 12 April 2007 as modified by circular of BCT to IA n°2009-23 of 18 November 2009 . Resident individuals and legal entities for their untransferable assets regularly received abroad. Resident private individuals holding Tunisian nationality as well as Tunisian business concerns and foreign business concerns for their setting up in Tunisia, profiting from the amnesty provided for by the law n°2007-41 of 25 June 2007 dealing with amnesty of exchange and fiscal breach. These accounts are freely credited in foreign currencies arising from income or proceeds of assets regularly earned abroad. Exchange note of 21 April 1987. They can be opened freely by resident exporters of goods and services for their activity requirements. These accounts are intended essentially to help their holders cover themselves against exchange risk. They are opened, on authorization of the Central bank of Tunisia, by any resident individual or legal entity having foreign currency resources. Circular of BCT to IA n°93-14 of 15 September 1993 as modified by circulars of BCT to IA n° 99-05 of 19 April 1999, n°2003-13 of 12 November 2003 and n° 2005-01 of 3 January 2005 and n°2012-08 of 15 june 2012 and n°2012-18 of 04 october 2012 and circular of BCT to IA n°2013-13 of 21 October 2013. 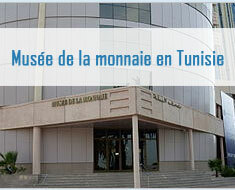 They are opened, on an authorization of the Central Bank of Tunisia, in the name of resident individuals who make profit coming from operations of export of goods or services and/or are shareholders or partners in resident companies that make profit in export transactions of goods or services. They are freely debited for any transfer in foreign currency for matters of traveling abroad or acquiring rights and benefits abroad represented or not by securities or for any payment of current operation provided for by exchange or foreign trade regulations into force. Any other debit operation of this account is subjected to an authorization of the BCT. Circular of BCT to IA n° 2009-15 of 24 July 2009 repealing the Circular of BCT to IA n° 2001-09 of 2 March 2001 as modified by circular of BCT to IA n° 2006-23 of 11 December 2006. Resident private individuals having foreign currency ressources from remuneration on services provided to non-residents established outside Tunisia may open "sevice provider" accounts in foreign currency or in convertible dinar with respect to authorised intermediaries. Private individuals acting as foreign exchange assignees and resident private individuals with holdings in the capital of a company acting as foreign exchange assignees can open convertible dinar accounts called "foreign assignnes accounts in convertible dinar" at the offices of authorised intermediaries. Circular of BCT to IA n° 2003-05 of 27 March 2003 as modified by circular of BCT to IA n°2006-22 of 11 December 2006. They can be opened freely by resident individuals or legal entities whatever their nationality is. They are freely credited and debited in foreign currency. Non residents' internal accounts "INR"
These accounts, the opening of which is free, are intended to the use by foreign individuals residing temporarily in Tunisia and earning an income in dinars. They may be opened freely by non resident foreign enterprises that stroke bargain in Tunisia in order to place the share of these bargains payable in dinars intended to cover their local expenditures. These are accounts in dinars that may be freely opened by non-residents of any nationality to place all receipts falling to them in Tunisia while awaiting the Central Bank of Tunisia to decide whether to allocate these receipts to a capital account or their transfer. They are intended to receive assets in dinars of non-residents that do not have any transfer guarantee. Their opening is free for non-resident foreign individuals or legal entities. It is submitted to a prior approval of the Central Bank of Tunisia for Tunisian non-residents or their husband and wife. Exchange note n° 5 of October 5, 1982. Non-resident private individuals holding Libyan nationality can freely open, on the books of Authorised Intermediaries, accounts in Tunisian dinar. Amounts available in this account denominated "non-resident Libyan account in Tunisian dinar "are used in Tunisia. Circular of BCT to IA n°2011-21 of 26 December 2011. Non-resident private individuals holding Libyan nationality can freely open on the books of Authorised Intermediaries foreign currency accounts entitled "non resident Libyan foreign currency accounts" and accounts in convertible dinar entitled "non resident Libyan accounts in convertible dinar". Circular of BCT to IA n°2012-03 of 23 January 2012. Exclusive of Authorised Intermediaries and the customs offices entitled to foreign exchange assignment, only private individuals having obtained beforehand an assignment of authorised intermediary may accept bank bills and foreign traveller's cheque borne by Tunisian or foreign non-resident travellers. Free transfer of current transactions and net real proceeds as well as the value added from sale or liquidation of capital invested previously through foreign currency import. All other transactions and commitments of which a transfer arises or may arise as well as any clearing of debts with foreign countries are submitted to prior authorization. Assets movements between Tunisia and foreign countries have to be executed through the Central Bank of Tunisia or, on the authority of the latter, by authorised intermediaries chartered by Minister of Finance on proposal of the Governor of the Central Bank of Tunisia. Any individual or legal entity must deposit at a bank foreign banknotes, cheques, evidence of indebtedness denominated in foreign currencies as well as foreign securities that he/it holds in Tunisia. Individuals who usually live abroad, are authorized to hold in their possession the currencies, which they have regularly imported, for their current expenditures during their stay in Tunisia. Resident individuals of Tunisian nationality as well as legal entities have to declare to the Central Bank of Tunisia their holdings abroad. Residents have to repatriate and, with exceptions provided for by the regulation into force, sell on the foreign exchange market currencies arising from goods export, remuneration of offered services abroad and, more generally, any income, or proceeds coming from abroad. Decree n° 77-608 of July 27, 1977. Tunisia accepted on January 6, 1993 the obligations provided for by article VIII of the International Monetary Fund Status. The exchange rate of the Tunisian dinar is determined freely on the foreign exchange market created since the March 1st, 1994 between officiel intermediate of the Tunis area including offshore banks. The Central Bank of Tunisia intervenes on this market and publishes the interbank exchange rate of currencies and banknotes at the latest the following day. Importers and exporters of goods and services may cover themselves against exchange risk on the forward interbank market. Forward rates are freely negotiated between operators and the counterpart bank. Authorized Intermediaries are allowed to list exchange options (currency/dinar) for their resident customers with a view to helping them to cover against the exchange list led by commercial operations on goods and services and financial operations carried out in compliance with the exchange regulation into force. Purchase of exchange options (currency/dinar) by residents must be carried out through an Authorized Intermediary and backed by an effective commercial or financial operation carried out in compliance with the exchange regulation into force. Authorized Intermediaries can carry out exchange options (currency/dinar) between themselves to cover the exchange risk related to their resident customers'operations. Authorized exchange options are of a European type. Circular of the BCT to Authorized Intermediaries n° 2007-27 of 18 December 2007 repealing circular of the BCT to Authorized Intermediaries n°89-08 of 6 March 1989. Settlements between Tunisia and foreign countries may be executed in currencies listed on the inter-bank exchange market or in Tunisian convertible dinars through foreign accounts. Exchange notice n° 4 of October 5, 1982. Foreign exchange regulation is applied to individuals according to their residence. 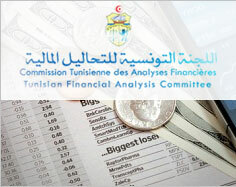 Tunisian or foreign legal entities carrying out activities in Tunisia. Individuals of Tunisian nationality residing in Tunisia. Tunisian civil servants working abroad whatever the duration of their stay is. Individuals of foreign nationality residing in Tunisia for more than two years and carrying out their activities in Tunisia. These individuals lose their quality of resident as soon as they leave Tunisia for good. Tunisian or foreign legal entities carrying out their activities abroad. Individuals of foreign nationality not residing in Tunisia. Foreign civil servants working in Tunisia whatever the duration of their stay is. Individuals of Tunisian nationality residing abroad for more than two years and carrying out their activity. These individuals may have the status of resident to execute a number of transactions in Tunisia (loans in dinars, opening accounts in Tunisia, purchase of real estate in Tunisia). As soon as they come back to Tunisia for good they reintegrate their resident status. Non-resident status is granted to financial and banking bodies dealing essentially with non-residents, created in the form of limited companies under Tunisian law or companies set up in Tunisia and which head office is abroad. Circular of the BCT to non resident banks n° 86-13 of May 6, 1986. An option may be taken to acquire this status by totally-exporting companies created within the investment incentive code or set up in the economic free zones of Bizerte and Zarzis as well as international trade companies when their capital is held by Tunisian or foreign non-residents through an import of convertible currencies equal at least to 66% of the capital. Law n° 94-42 of March 7, 1994. Import and export of Tunisian dinar in banknotes or coins are forbidden. Non-resident travellers may import freely unlimited amounts of foreign banknotes, cheques and any other settlement means denominated in foreign currencies. Imported foreign currencies must be declared to customs when entering the Tunisian territory if they are meant to be deposited in an account in foreign currency or convertible dinars or if the non-resident traveller intends to re-export an amount higher than the exchange value of 5,000 Tunisian dinars. The trading in of foreign banknotes and travellers cheques in foreign currency is ensured by authorised intermediaries, customs offices entitled in this regard as well as individuals authorised by an authorised intermediary (such as hotel and restaurant owners, travel agencies and handicraft shops). on presentation of this same note accompanied by the customs declaration if the amount to be reconverted is higher than 5,000 Tunisian dinars. on the basis of the foreign currency import declaration signed by the customers if the amount to be reexported was imported in cash from abroad and is equal to or higher than the exchange value of 5,000 dinars. Exchange note of Minister of Finances published in JORT n° 10 of 3 February 2006as modified by Exchange note published in JORT n° 18 of 2 March 2007. Circular of the BCT to Authorized Intermediaries n° 94-13 of 7 September 1994 as modified by circular of the BCT to Authorized Intermediaries n°2007-13 of 25 April 2007.